Posh Tibby Cat Doorstop By Dora Designs. Posh Tibby Cat Doorstop By Dora Designs. Grey brocade and lemon woven fabrics. Height 28cm. Dora Designs are at the forefront of designs of home accessories and gifts mainly based on animals characters. 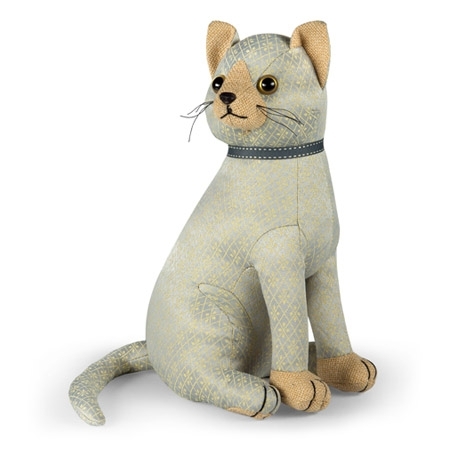 Click the button below to add the Posh Tibby Cat Doorstop By Dora Designs. to your wish list.